As a new year begins and another fades, it is custom for many to reflect on their lives' impacts over the past year. In this context, Mote Marine Laboratory is celebrating the life of one of our most influential scientists, Dr. John Reynolds III, who passed away on the morning of Dec. 23 surrounded by family. 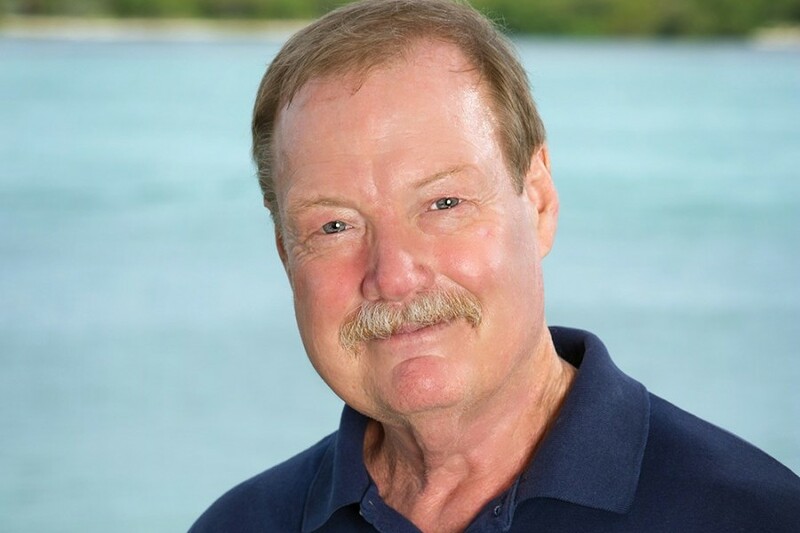 “There are so many lives that were deeply touched by John in his capacity as a professor, researcher and presidential appointee for leadership in marine mammal conservation," shared Mote Senior Scientist and longtime research partner and friend of Reynolds, Dr. Dana Wetzel. "John was truly dedicated to conservation and the protection of the environment, and his legacy will live on in his comprehensive work and through his mentorship of others. The loss of John will be felt deeply and for a long time, by many across the world." Reynolds joined Mote part-time in 2000 and as a full-time Senior Scientist in 2001. 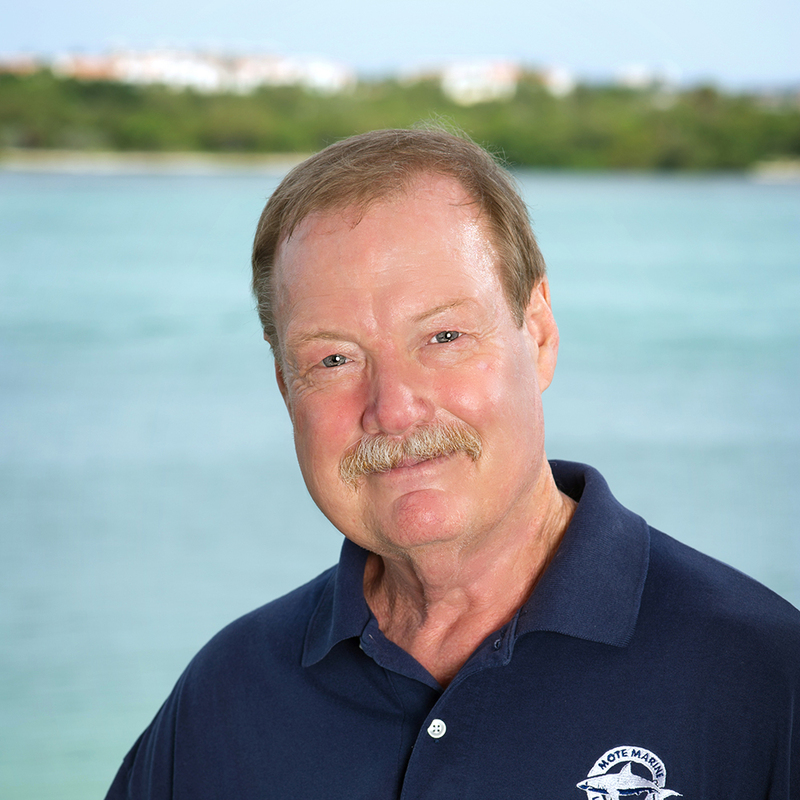 During his time at Mote, he helped the Lab become a beacon of conservation-focused science, particularly through his leadership of Mote's Manatee Research Program — a cornerstone of scientific understanding and protection of these unique mammals in Florida and the Caribbean. The importance of this work cannot be overstated; Mote is one of the three primary groups maintaining a statewide catalog of Florida manatees – including more than 4,200 fully documented, recognizable animals. Reynolds and his team have done more aerial surveys for manatees than any other group of scientists in the world. 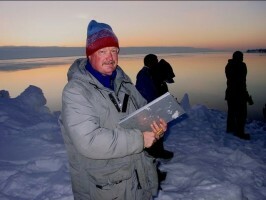 He played a crucial role in advising plans for manatees’ reintroduction to Guadeloupe and worked closely with Mote’s Environmental Laboratory for Forensics scientists on studies of significantly vulnerable species including manatees, dugongs, bowhead and beluga whales, polar bears and sturgeon, often collaborating with and working to benefit subsistence communities that rely upon marine resources. In 2013, Dr. Reynolds built and strengthened bridges among scientific and conservation partners around the world with the creation of an International Consortium for Marine Conservation. Recently, he worked with the United Nations Environment Programme to develop and implement a Caribbean-wide Marine Mammal Action Plan. From 1991 to mid-2010, he was appointed by three U.S. Presidents of different political parties to lead the U.S. Marine Mammal Commission, the federal agency with oversight for all research and management of marine mammals in the United States. In 2010, the agency’s accomplishments were recognized with a distinguished service award from the Society for Conservation Biology. Reynolds’ life was filled with well-deserved honors and awards for outstanding science, conservation and teaching — which is no surprise to those who knew him. Before Reynolds’ time at Mote, he served as Professor of Marine Sciences and Biology and Chairman of the Natural Sciences Collegium at Eckerd College, where he was integral in establishing the college’s renowned marine science major, helped to facilitate the building of a multi-million dollar marine science center and opened doors for the best and brightest, next-generation scientists. His hundreds of scientific and popular-science publications have educated myriad people, from fellow scientists and advanced students to children. His colleagues and friends at Mote and beyond will never forget Reynolds' dedication to research, conservation, and sharing knowledge and friensdhip. Reynolds is survived by his wife, son, daughter-in-law and grandson; as well as his sister, niece and nephew. For those interested in sharing a memory, tribute or condolence for the family please email: rememberingjohnreynolds@mote.org.